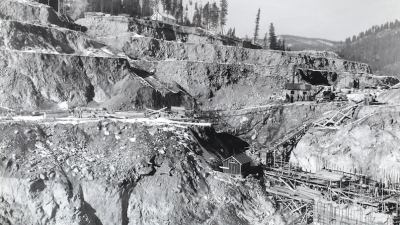 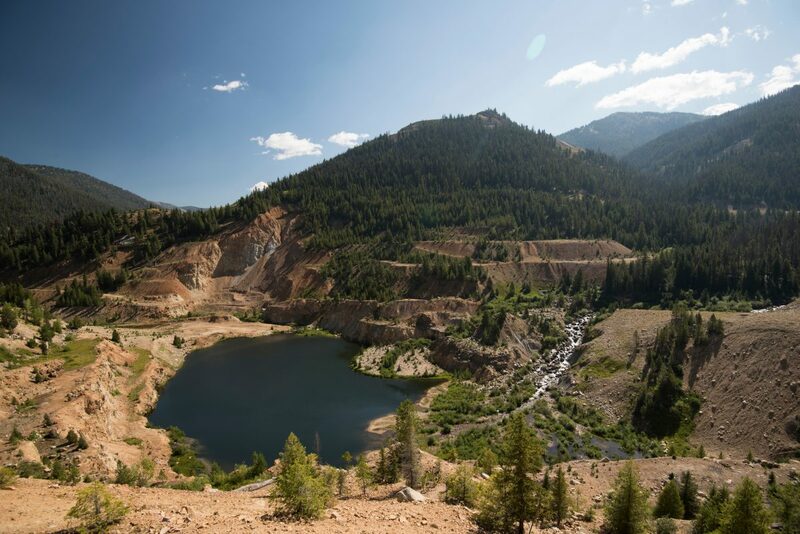 Abandoned after decades of mining, the Stibnite area needs repair. 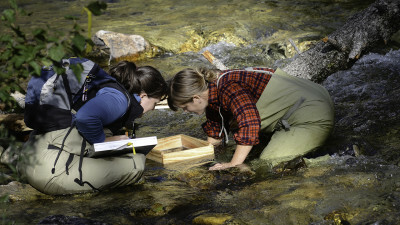 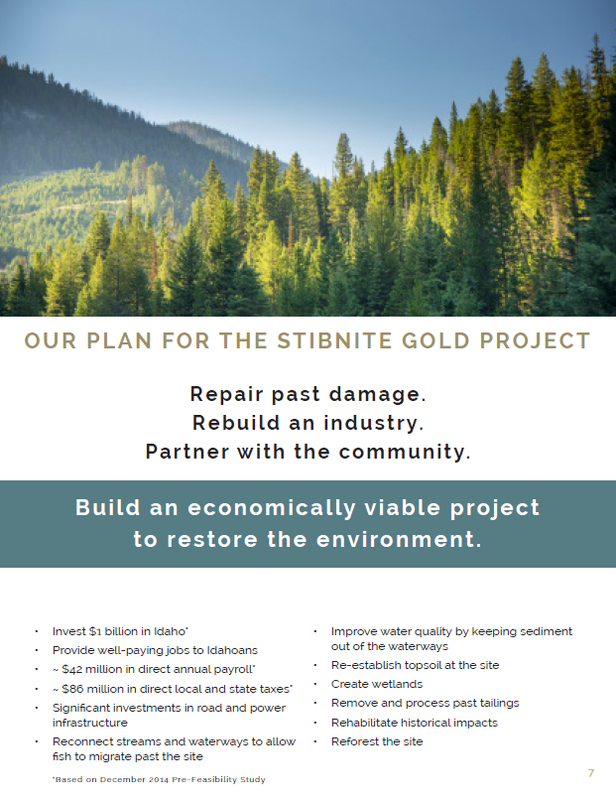 Through mining and economic investment, the Stibnite Gold Project will restore the water quality, landscape, fisheries and natural habitat of the area. 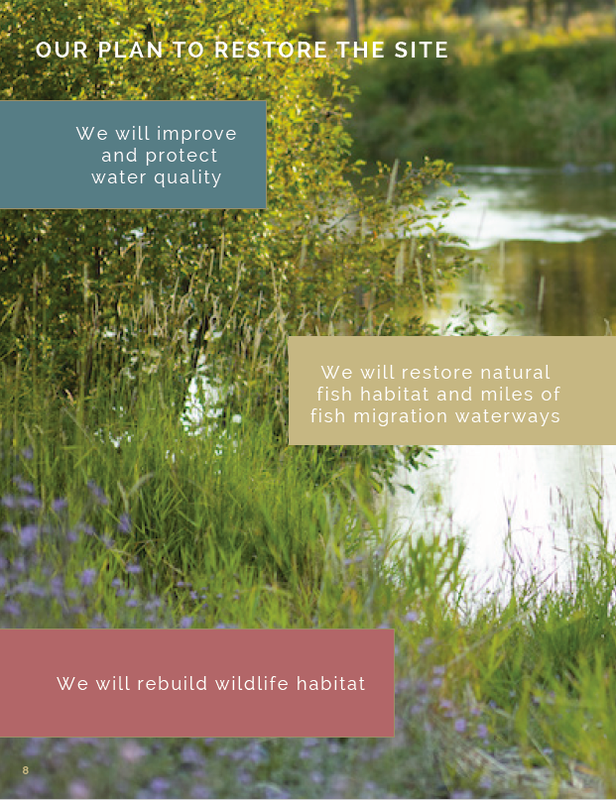 We are committed to designing a project that will leave the environment in better condition than we found it. 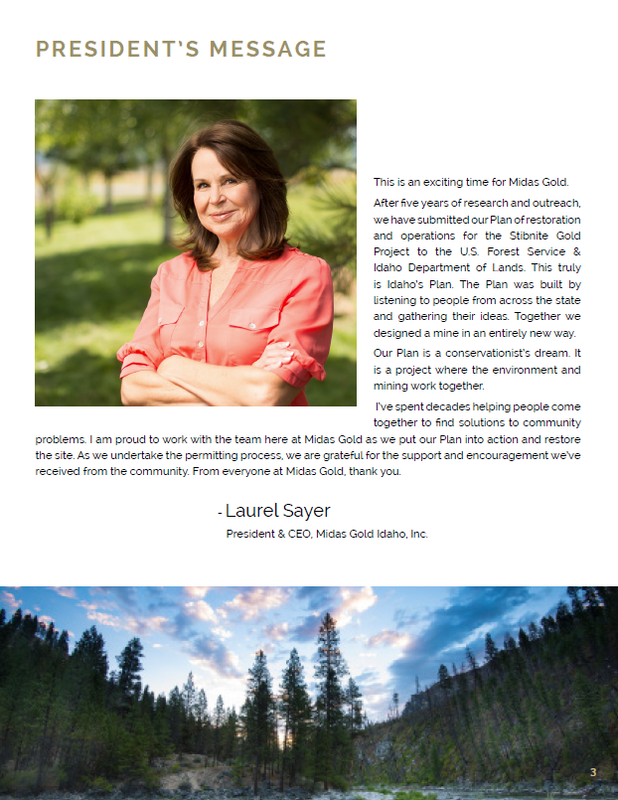 And while we restore the site, the Stibnite Gold Project will contribute millions of dollars to the local and state economies and provide hundreds of high-paying jobs to Idahoans. 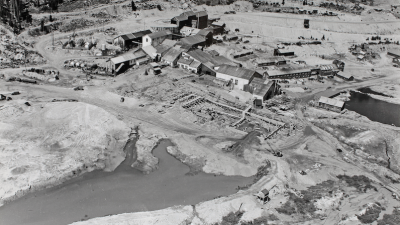 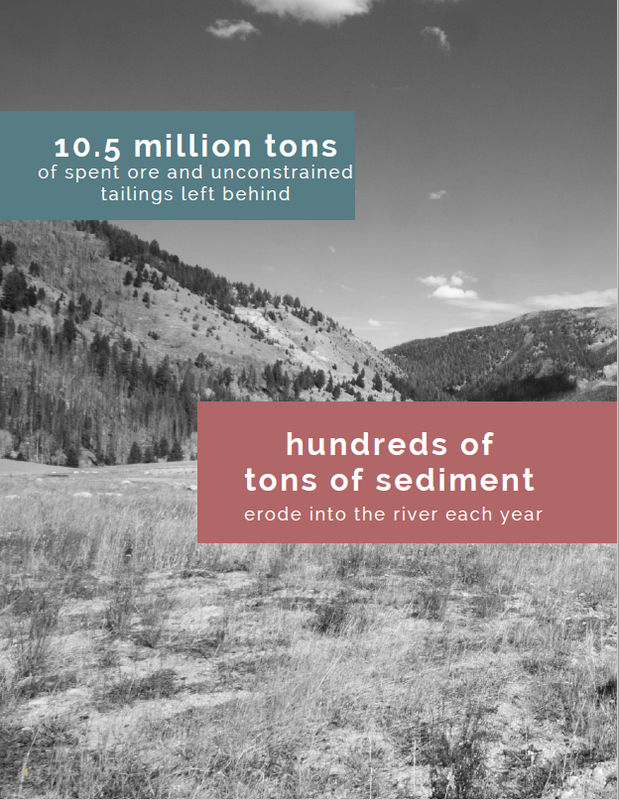 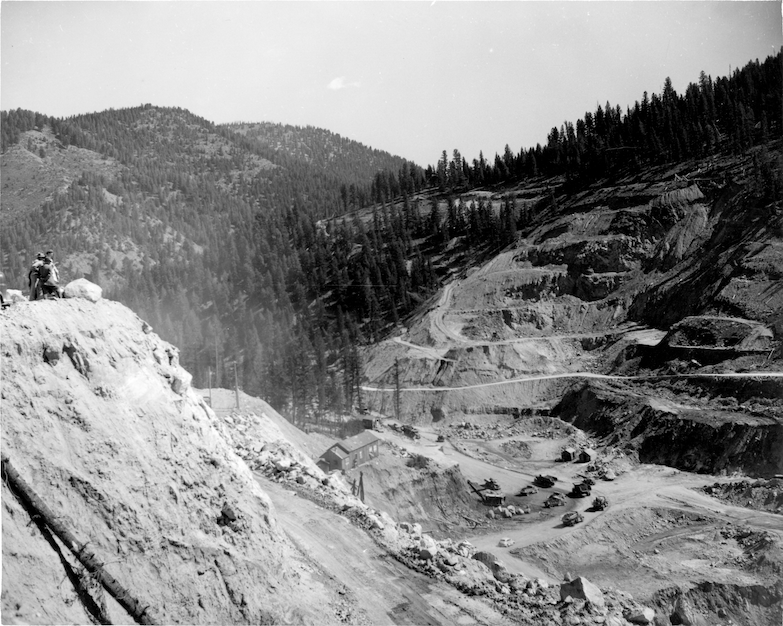 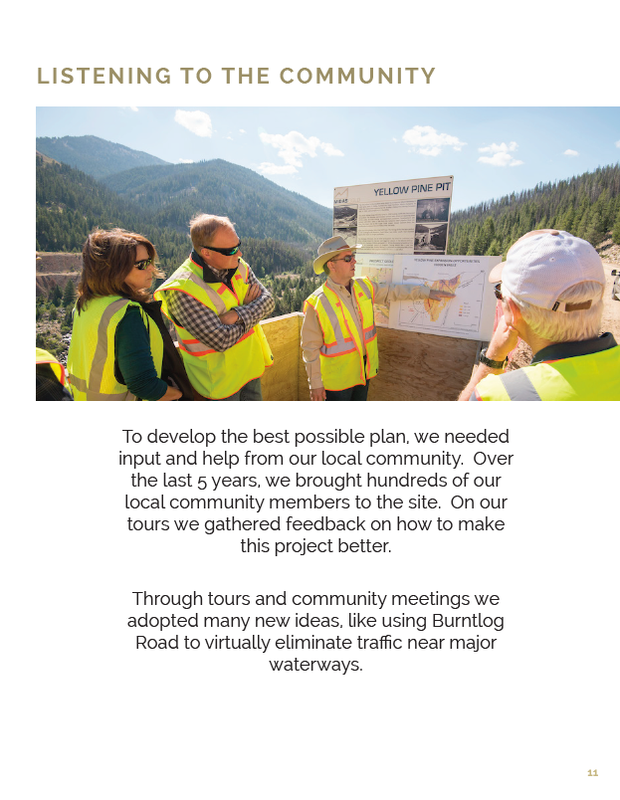 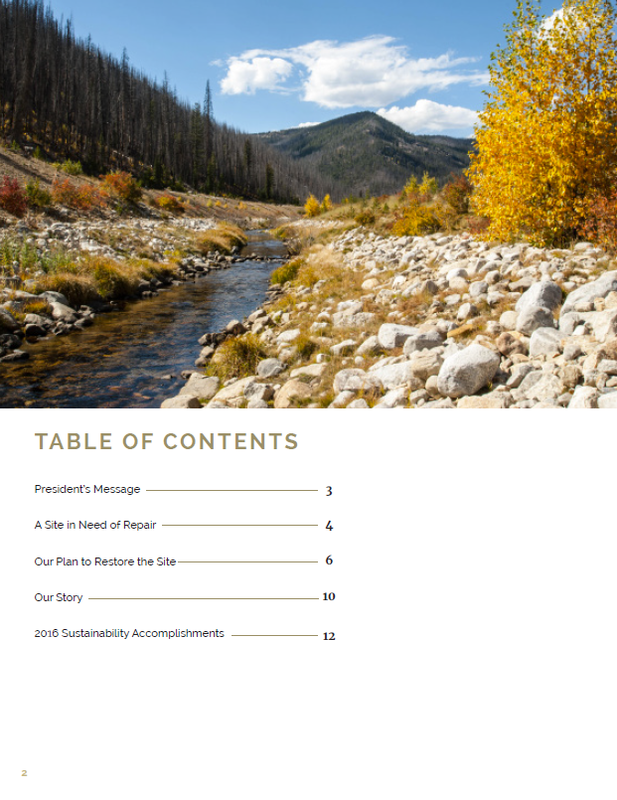 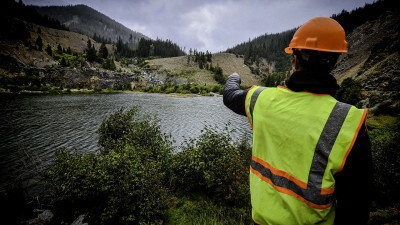 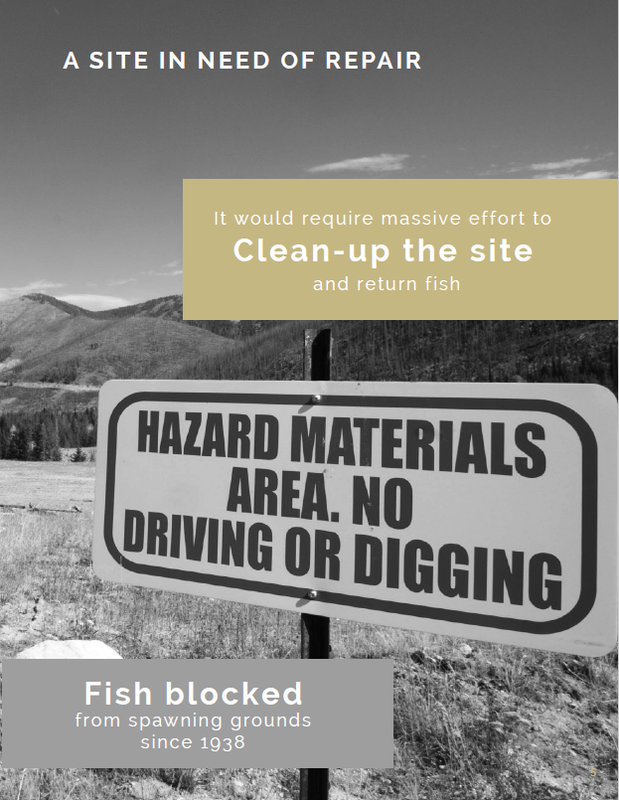 Restoring the site means improving water quality by cleaning up the millions of tons of waste rock and tailings that slowly leach metals and send sediment into nearby ground and surface water. 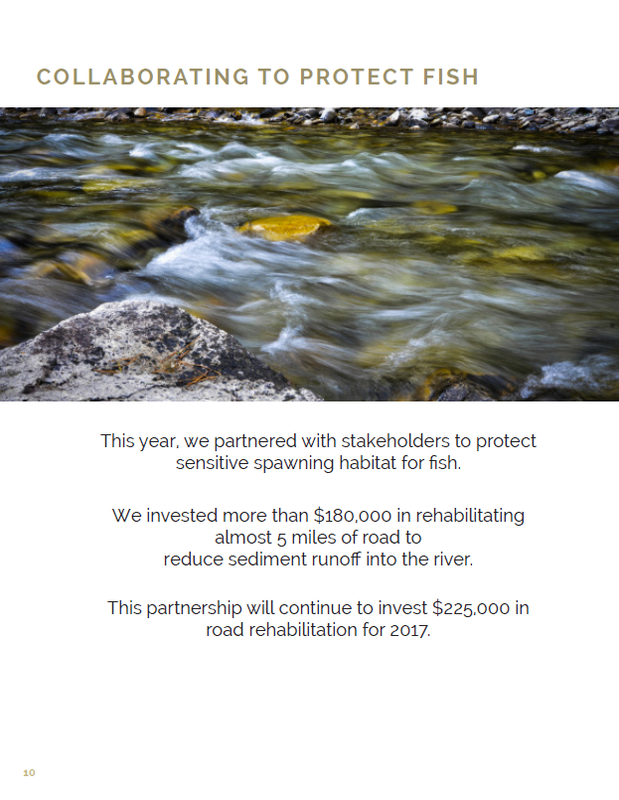 It means helping fish migrate to the upper stretches of the river for the first time in 80 years. 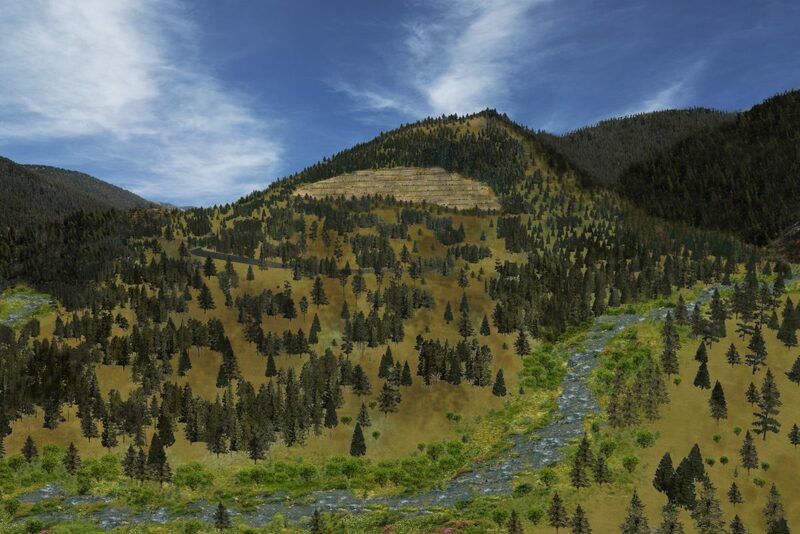 This area will not recover on its own. 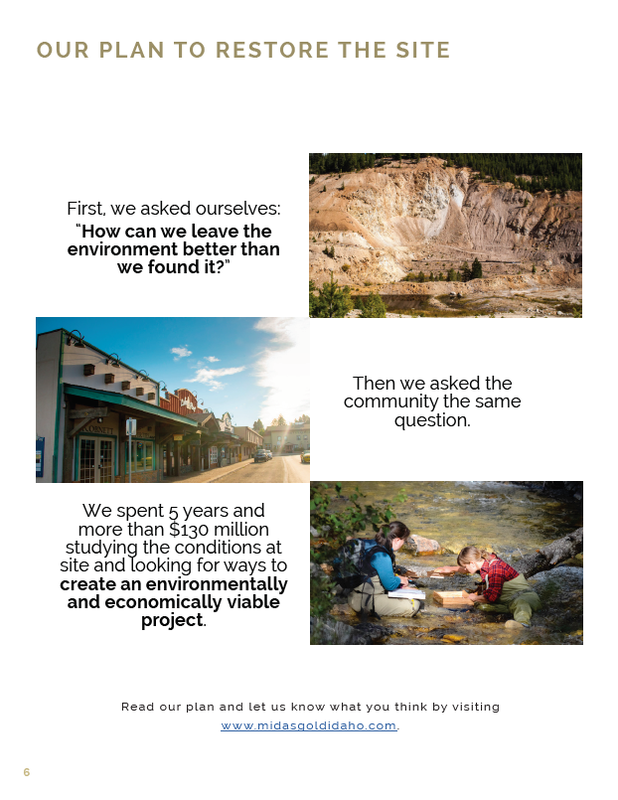 With restoration as our goal, we can use mining to rewrite the site’s legacy and correct all of these problems. 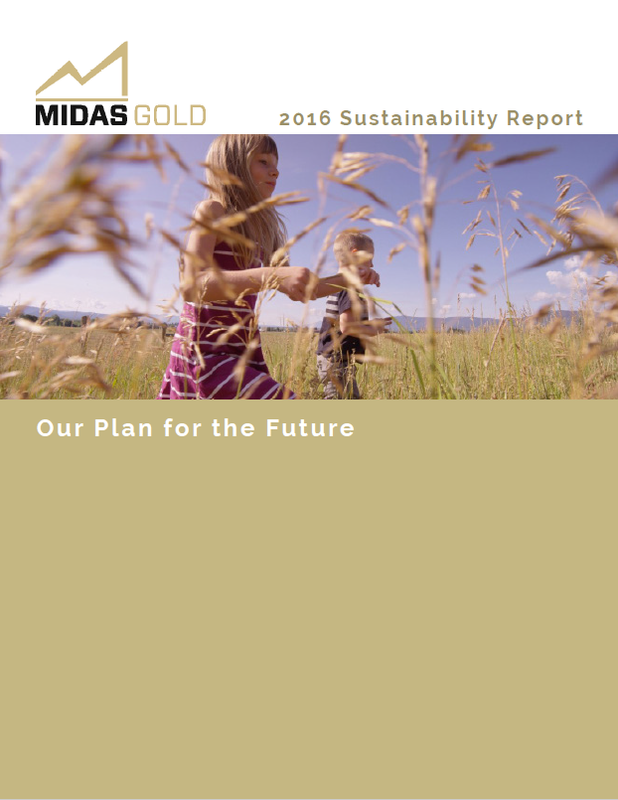 Planning for the future also means saving for the future. 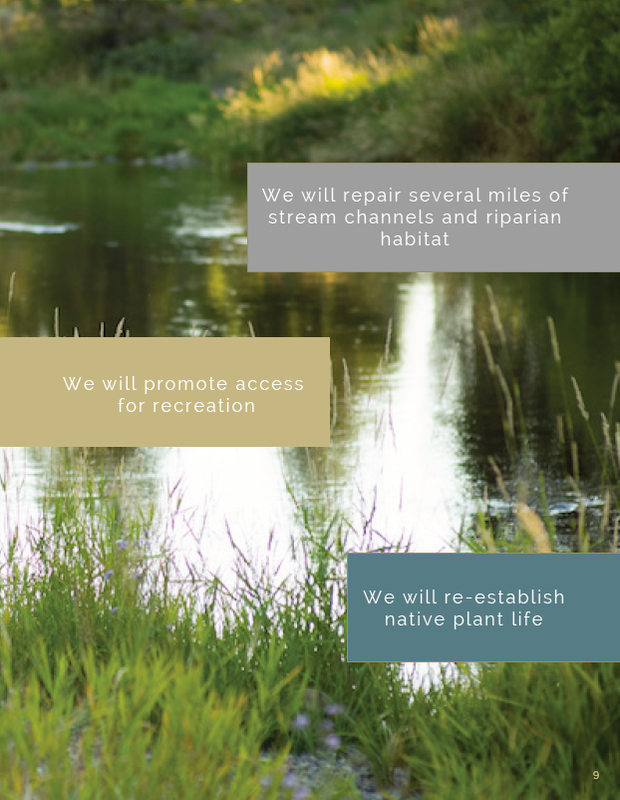 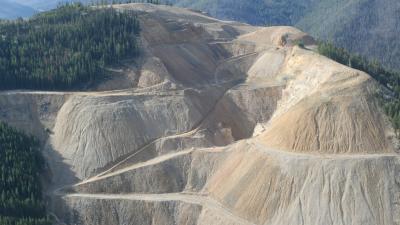 Before mining begins, we will set aside all the funds necessary to complete the environmental reclamation of the area. 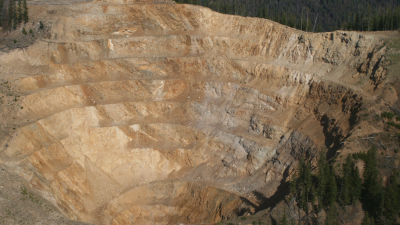 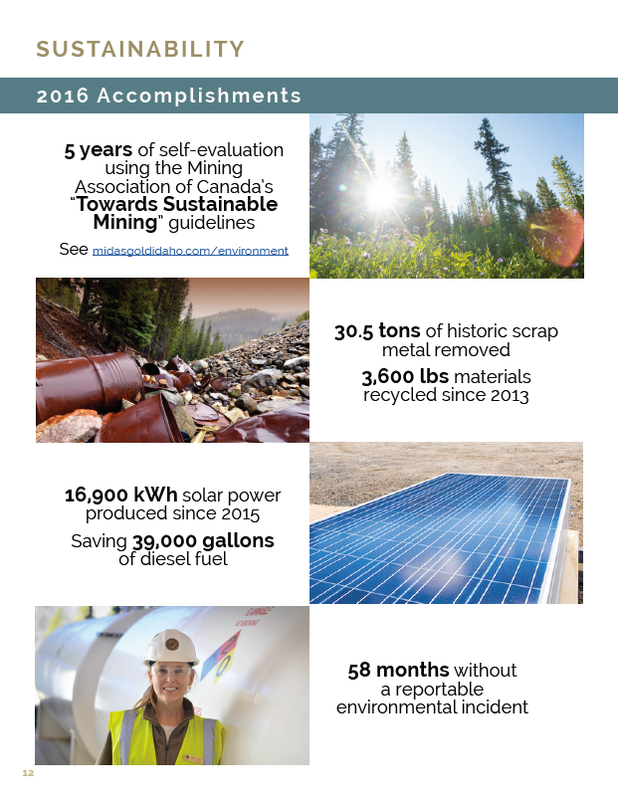 By focusing on lowering our ecological footprint today, we set the foundation for the Stibnite Gold Project to go above and beyond industry standards. 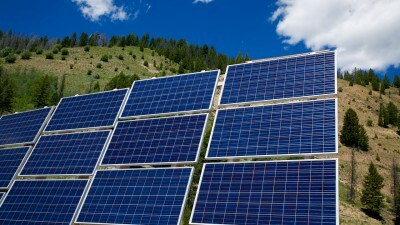 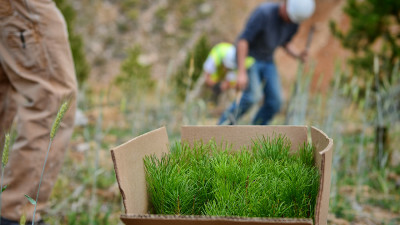 We are committed to sustainable operations from the start. 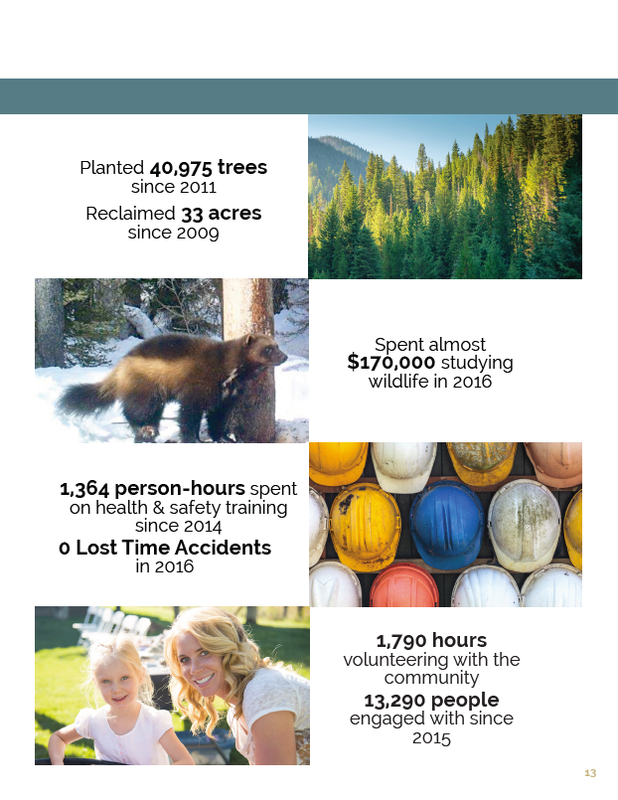 Each year, we track our work and report our efforts to lower our ecological footprint, be a meaningful member of our community and a valued economic partner.